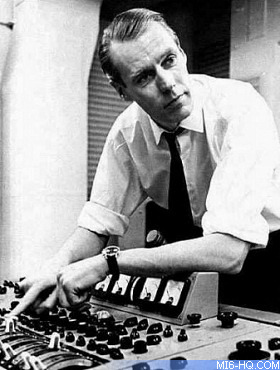 Born in Wiltshire, England, on 3rd January 1926, Sir George Henry Martin CBE was an English record producer, arranger, composer, conductor, audio engineer and musician. He has been referred to as the 'Fifth Beatle', including by Paul McCartney, in reference to his extensive involvement on each of the Beatles' original albums. Martin had 30 number-one hit singles in the United Kingdom and 23 number-one hits in the United States. Martin's career spanned more than six decades of work in music, film, television and live performance. He also held a number of senior executive roles at media companies and contributed to a wide range of charitable causes, including his work for The Prince's Trust and the Caribbean island of Montserrat. In recognition of his services to the music industry and popular culture, he was made a Knight Bachelor in 1996. The score was orchestrated and conducted by Martin, and recorded at the AIR Studios. For the theme song, Martin teamed with former-Beatle Paul McCartney, who had previously been considered for Diamonds Are Forever in 1971. This was the first time the pair worked together since Abbey Road in 1969. The theme was written by Paul and his wife Linda McCartney and performed by Paul and his group, Wings. It was the first James Bond theme song to be nominated for an Academy Award for Best Original Song. In his autobiography, Martin said he was approached by Harry Saltzman who was impressed by the orchestral backing of Paul McCartney's demo of the title song and wanted Martin to score the film. Martin agreed but then was surprised when Saltzman asked him who he thought should sing the title song; Martin said that Paul McCartney intended to. 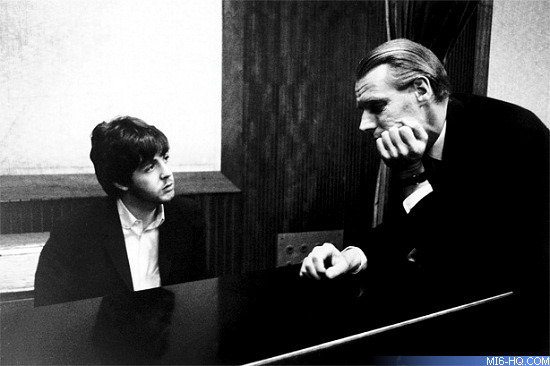 "Paul rang me one day and said: 'Look, I've got a song that I've done for a film' and he played it for me on a piano and sang. He said, 'I want it to be really big.' I said 'I know you do, obviously you do. You want the same kind of thing as John Barry.' 'No!' he said, 'It's got to be better than John Barry. It's got to have much more kick in it.' So I said, 'OK, I'll do my best...'"
"I had to diplomatically tell [Harry Saltzman] that if he didn't take Paul McCartney, he didn't get the song." Saltzman wanted a black soul singer to match the blaxploitation theme of the film, but a compromise was agreed when B.J. Arnau would sing the title song in a nightclub sequence. The Arnau version of the song appears on the soundtrack album as a component in a medley that also contains two George Martin-composed instrumental pieces, "Fillet of Soul - New Orleans" and "Fillet of Soul - Harlem". Martin related how he worked closely with director Guy Hamilton who practically dictated how one of the tracks "If He Finds It, Kill Him" should sound. "It was more rock and roll than anything that had gone before. It was still big, but it definitely had an element of pop music in it." 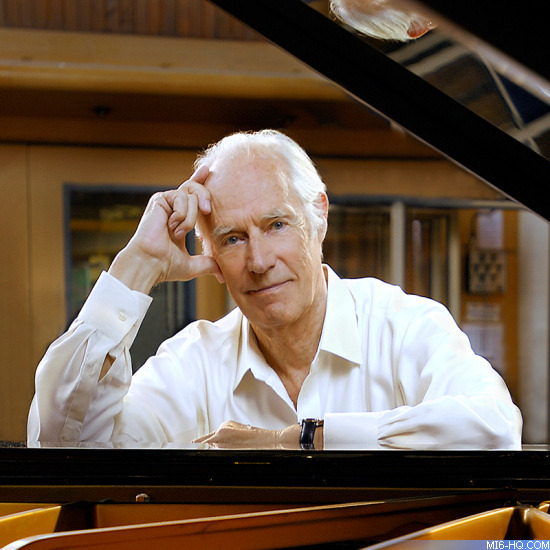 Sir George Martin died in his sleep on 8th March 2016 in his home in Wiltshire at the age of 90. He is survived by his wife of nearly fifty years, Judy Lockhart Smith, and his four children.